Sean B. Hecht is the Co-Executive Director of the Emmett Institute on Climate Change and the Environment, and Evan Frankel Professor of Policy and Practice, at UCLA School of Law. He works with students to serve environmental organizations and government agencies in his role as co-director of the Frank G. Wells Environmental Law Clinic. His teaching includes Public Natural Resources Law and Policy, Environmental Law, and a California State Environmental Law seminar, in addition to the Environmental Law Clinic. Sean is a frequent speaker and media commenter on a wide range of environmental, natural resources, and energy law and policy issues. 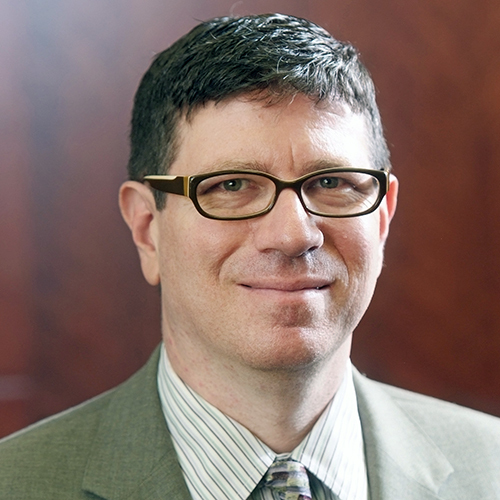 He collaborates on projects with practicing environmental lawyers, environmental and environmental justice advocacy organizations, policymakers, and the business community. Sean’s research interests include developing legal and policy tools for building resilience to climate change’s projected impacts; analyzing the insurance and finance sectors’ roles in addressing climate change; examining the relationship between environmental justice and mainstream environmental advocacy; analyzing the role of environmental impact analysis under CEQA, NEPA, and other laws in protecting health and the environment; and studying the dynamics of federal public land law and policy and the relationship between state and federal regulation on public lands. After law school, Sean served as law clerk for Hon. Laughlin E. Waters of the United States District Court for the Central District of California. He began law practice at the firm Strumwasser & Woocher, litigating cases involving election law, employment law, environmental and land-use law, and insurance regulation. More recently, he served as a Deputy Attorney General for the California Department of Justice, representing the Attorney General and state agencies on environmental and public health matters. Sean is a past chair of the State Bar of California’s environmental law section, and the founding (past) board chair of the Harbor Community Benefit Foundation, a nonprofit that works to mitigate Port-related environmental impacts, including environmental justice impacts, and improve environmental quality in the near-Port Los Angeles communities of San Pedro and Wilmington. Along with co-counsel in Center for Biological Diversity v. Department of Fish and Wildlife (Newhall Ranch), he received the 2016 California Lawyer Attorney of the Year (CLAY) Award for environmental law. He blogs at http://legal-planet.org.